CCY Tanzania stands for Caring from Childhood to Youth and is a grassroots organization that works primarily with orphans, children in need of special support, and young people's need for support and security. In Autumn 2014 EWB in Luleå started a collaboration with the CCY located in the centre of Tanzania, in a village called Matanana. This collaboration aims to provide engineering solutions for carefully selected projects linked to one of the newly established schools and orphanage founded by CCY Tanzania. In 2016, members from EWB Luleå went to the school and installed a water pump together with locals. The water pump made it easier for the people to get water and avoiding the far distance to water sources. During this trip, our members gathered necessary information regarding the conditions for expanding the cooperation with CCY Tanzania and the current school. This, combined with positive feedback from locals and workers at school and owners of CCY Tanzania led to a new project. 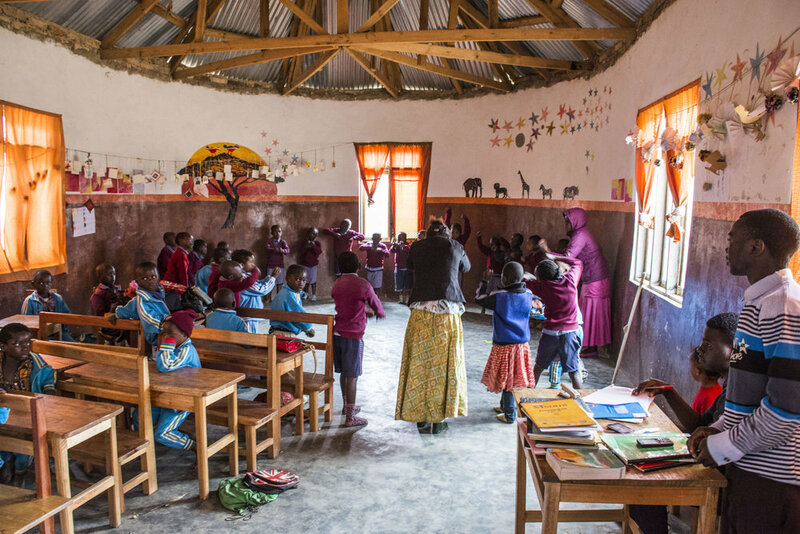 The classrooms in the school needed soundproofing since the ceiling was made of sheet metal, which disturbed teaching during the rainy season. The project team came up with a solution for soundproofing and, with the support of various organizations and companies, two of our members were able to go down to the village during the summer of 2017 and help install soundproofing.